The American Library Association (ALA) annually holds a conference and exhibition in a different U.S. city. Activities at the conference include seminars, discussion forums, lectures by prominent speakers, a poster session, and a book exhibition. The ALA Annual Conference draws librarians from all over the world. The 2017 ALA Annual Conference took place from June 22-28 at McCormick Place in Chicago. 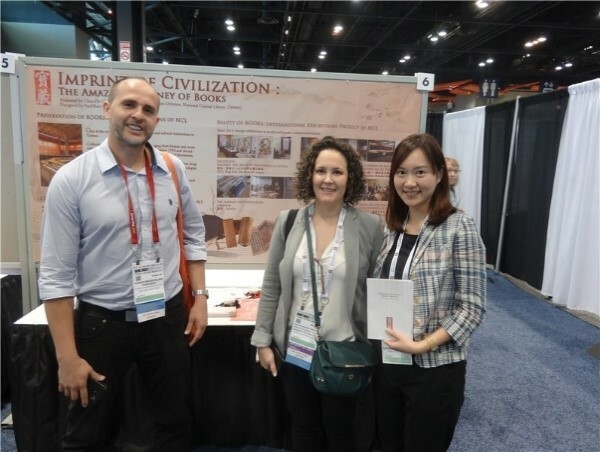 The National Central Library’s (NCL) poster, entitled “Imprint of Civilization: the Amazing Journey of Books,” was selected for this year’s poster session. 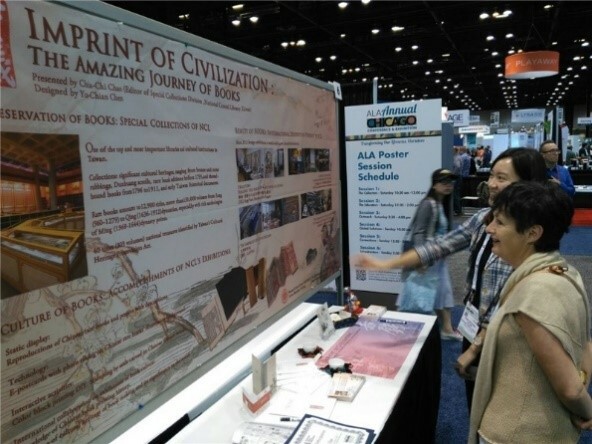 The poster draws attention to the special exhibitions of ancient Chinese books and manuscripts that the NCL has successfully held around the world in recent years. It introduces the NCL’s collection of rare books, and shares the exhibitions it has held overseas, including in New York, Houston, and Los Angeles (2012); San Francisco and New Jersey (2012, 2013); at the National Library of Latvia (2015); and at the National Széchényi Library, Hungary (2016).